Do you know what chemicals are lurking in your everyday hair care products? I don't know about you, but I see no reason to add harmful or mysterious additives to my daily routine. I've written about made in USA clean beauty options for all your personal care and beauty needs. 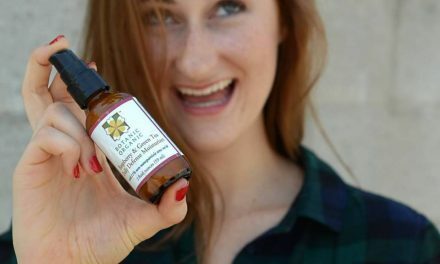 This post is solely focused on American made non-toxic hair care products because everyone's hair is different and requires different types of treatments based on your hair type and texture. Don't miss our source lists for American made nontoxic nail polish, “clean” beauty brands, talc free beauty products, and natural deodorants. 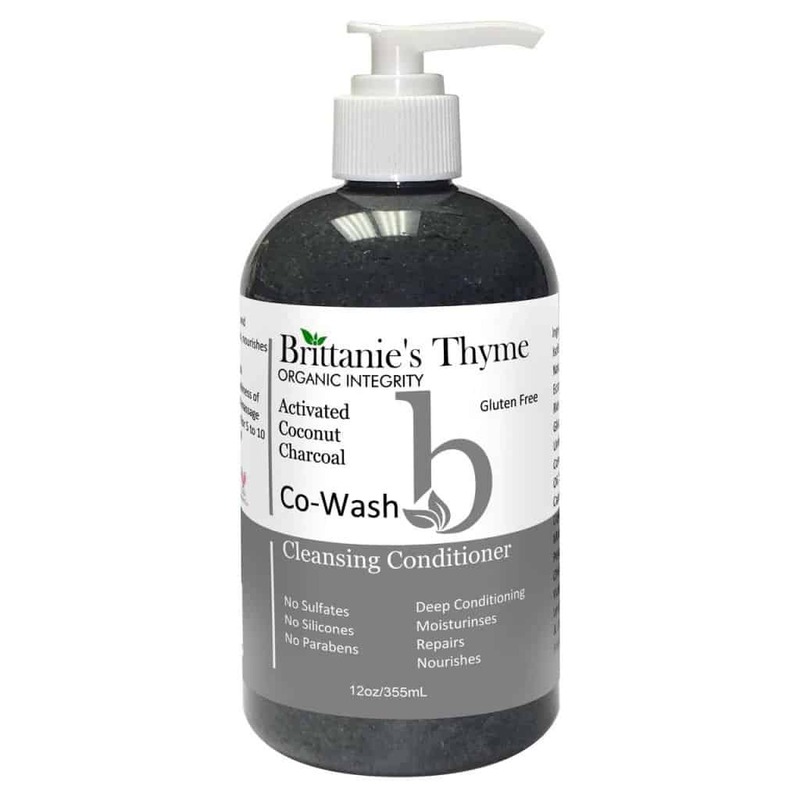 Brittanie’s Thyme Co-Wash helps to cleanse, balance and refresh your hair without stripping its natural oils and nutrients away. Great for all hair types, especially color treated hair, is infused with organic peppermint oil to stimulate hair and scalp. It’s available in 3 options including, Activated Charcoal, Apple Cider Vinegar, and Coconut Milk. Using only the highest quality ingredients available in the marketplace, Brittanie’s Thyme products can be used by everyone and contain no fillers, artificial preservatives, artificial fragrances or dyes. Avalon Organics Smooth Shine Apple Cider Vinegar Shampoo and Conditioner mix key ingredient, acetic acid found in apple cider vinegar, which helps clarify and balance the biome of the scalp to ensure new hair growth is not inhibited, while removing dulling oils and residue. We love that all Avalon Organics shampoo and conditioner formulas are now Environmental Working Group Verified, which means they meet EWG’s strict criteria and feature the EWG VERIFIED™ seal on the front label. The shampoo mixes a sulfate-free medley of raw organic apple cider vinegar, nettle extract, argan and babassu oils that work together to clarify scalp and hair, and restore hair. Ecco Bella Hair & Scalp Therapy Shampoo with Green Tea and Neem is a great natural and organic shampoo, especially for hair that is producing too much oil and is dandruff prone. A little goes a very long way and it smells great. Neem is a traditional antibacterial and antifungal and green tea is an antioxidant which promotes a healthy scalp, making it mild. Ecco Bella shampoo is also vegan and gluten-free. I cannot tell you how much I love Innersense Organic Beauty haircare products. It has always, always been difficult for me to find shampoos and conditioners to work with my hair. My hair is of normal texture and weight but gets oily. Innersense Organic Beauty shampoo has made my scalp feel so great, and the conditioner has left my hair feeling softer than ever before. I never liked my hair to feel silky, because then it would feel too thin to me. The shampoo and conditioner combo is exactly how I imagined I’d love my hair to feel. It shines, it's healthy, and it lays well, showing off my layered haircut. The shampoo, conditioner, and leave-in conditioner all smell great. Even though my hair is not color treated, I actually like the Color Awaken Hairbath the best because it creates more suds than the Pure Harmony Hairbath. The line is made in California and the company was founded and run by husband and wife team, Greg and Joanne Starkman. All of Innersense Organic Beauty haircare items rate a “zero” on the Think Dirty toxic scale, meaning they are 100% free of toxic ingredients. Motherdirt is one of my new most favorite shampoos of all time! I have oily hair, and Motherdirt shampoo makes it squeeky clean and reduces the number of times I have to clean my hair. I've noticed it feeling more bouncy and voluminous too because there aren't any harsh chemicals sticking to my hair and weighing it down. While other products can strip essential oils, stimulating more oil production, this Motherdirt's gentle, lathering formula helps to balance the scalp’s natural ecosystem. That means more time between washes, leading to durable strands. It’s color-safe and unfragranced. 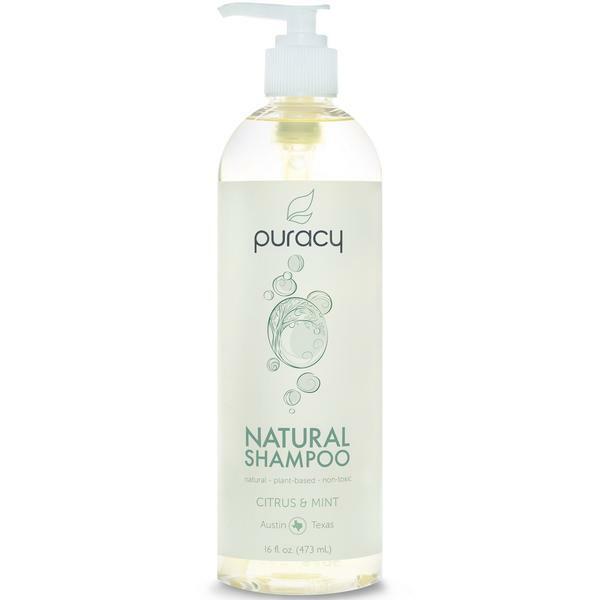 Puracy may be recognized for its Natural Baby Shampoo. However, the brand recently launched a Natural Citrus and Mint Shampoo and Conditioner for adults. It's a sulfate-, gluten-free, non-toxic, vegan and biodegradable shampoo that's great for everyday use. I love this shampoo works and smells. The olive oil based squalene in the shampoo nourishes and coconut based cleansers create a luxurious lather that makes the shampoo easy to apply to wet hair. The shampoo hydrates, while it cleans, with aloe vera and Vitamin E. Vitamin B5 and Shea Butter in the conditioner hydrate and condition. Essential oils of bergamot, eucalyptus and peppermint create a long lasting fresh clean scent. 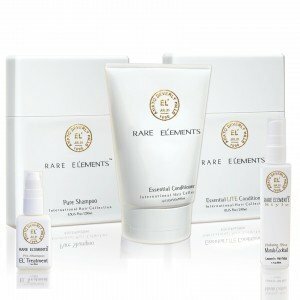 Rare El’ements is a non-toxic luxury hair care line will give you the body you’ve always wanted, but never even knew existed. These products work well to clean, hydrate, and volumize your hair without any fuss. They smell heavenly too. Since my hair tends to produce a lot of oil, and is not damaged, I find that they work best for me to use once every few weeks. If your hair is dry or damaged, I suspect the line would work quite well for you to use on a daily basis. Rare El'ements haircare items rate between 1-3 on the Think Dirty toxic scale. The rankings aren't zero due to the fact that some people might be allergic to ingredients like Rosemary Leaf Extract or Macadamia Seed Oil. They're a zero ranking (that's the best) in my book. 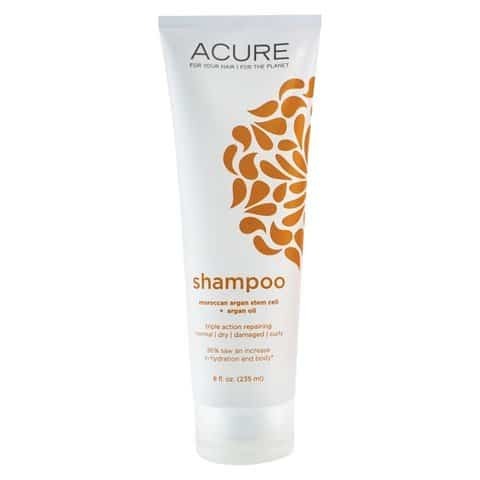 Acure Moroccan Argan Stem Cell Shampoo and Repairing Argan Conditioner is great for unruly hair that gets tangled easily. Its very moisturizing, and at under $12, it's a affordable as an everyday shampoo. These particular Acure items rate a “zero” on the Think Dirty toxic scale, meaning they are 100% free of toxic ingredients. NOTE: Not all of Acure's line ranks zero. Raw Hair Organics offers an entire line of product for curly hair. The collection is great because its lightweight, without being overly moisturizing and heavy, so it lets your curls bounce. 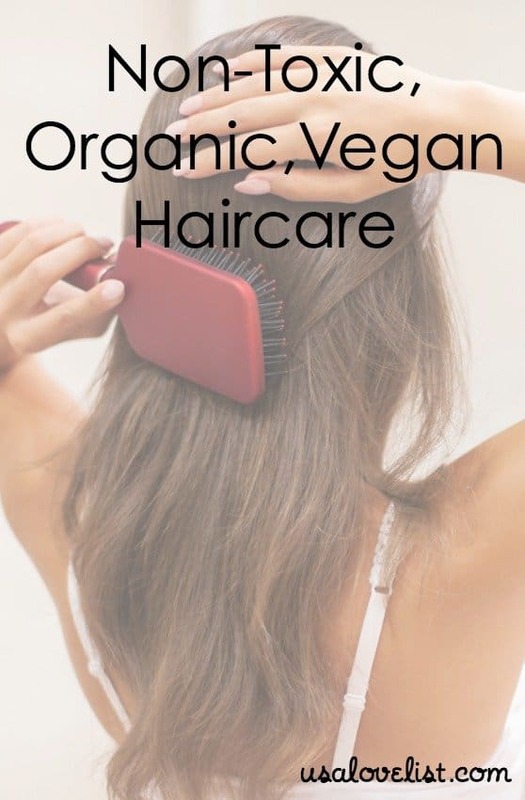 Raw Hair Organics products are Silicone-, Sulfate-, Alcohol-, Paraben-, Wheat-, GMO-, and cruelty-free. The line is made by hand in Florida and run by a husband and wife team. 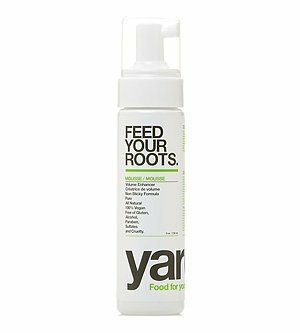 yarok Feed Your Roots Mousse is a great light weight volumizer that won't leave your hair sticky or weighted down. It's free of alcohol, made with coconut oil and rosemary essential oil, so it seems great too. The entire hair care line is free of alcohol, parabens, sulfates, and cruelty to animals. 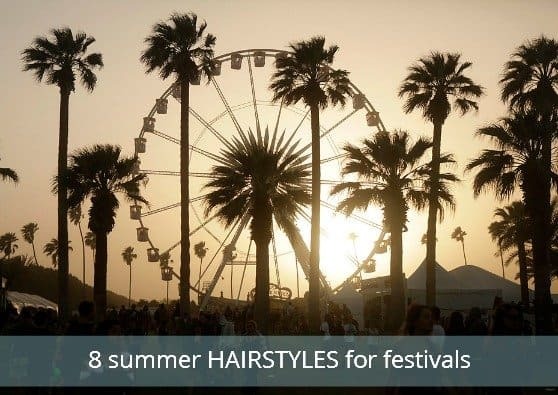 I love scrunching my hair, for a quick, easy hairstyle, especially in the Spring and Summer months. I love Herbivore Botanicals Sea Salt Mist for its amazingly easy application, lavender scent, and clean ingredients including, purified water, aloe vera, dead sea salt, and lavender. You'll love using it too. 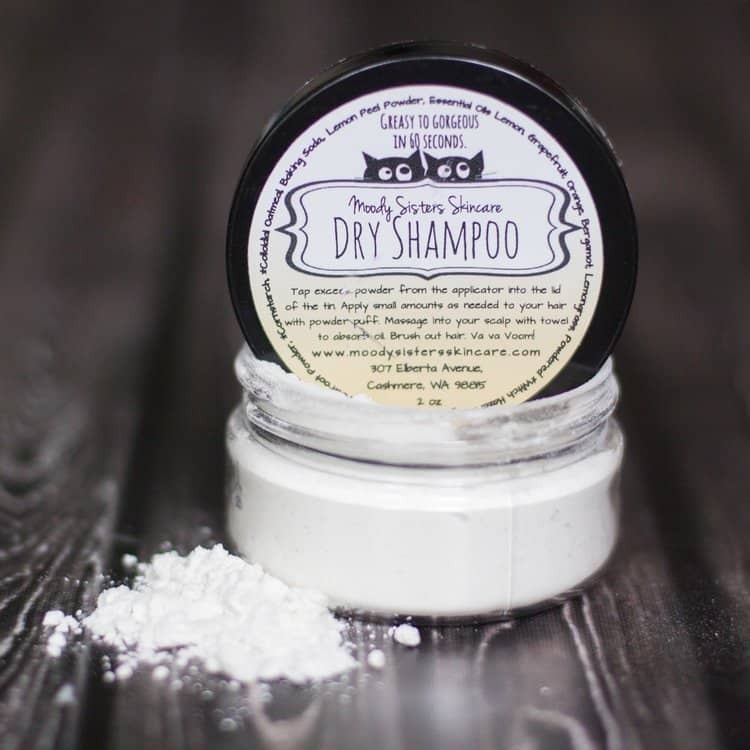 If you're looking for a dry shampoo, I truly love using Moody Sisters Dry Shampoo. It’s perfect for the times when your hair doesn’t quite need to be washed again, but could look a little less greasy. The puff applicator makes it so easy to apply and blend into your scalp without any mess. It's handmade with organic arrowroot powder, non-GMO cornstarch, lemon peel powder, organic witch hazel, and aluminum-free baking soda. It's vegan and cruelty-free too. 10% off any full size items with code USALOVE through 12/31/19. New email subscribers can choose 4 samples and just pay shipping at MoodySisters.com/tryme. I’d love to try the products for oily hair! 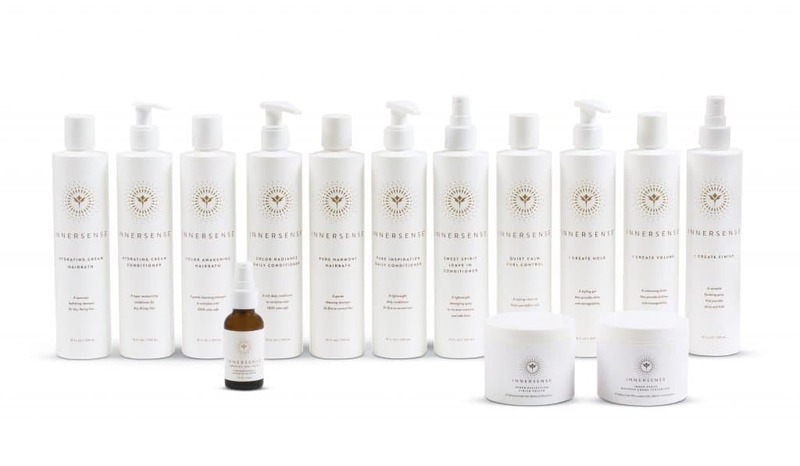 Melissa, you’ll love Innersense Organic Beauty shampoo, conditioner, and leave-in, if you have oily hair! My hair is less oily, and has amazing shine now. I love finishing my hair with one spray of Rare El’ements Marula Cocktail: Leave-In Hydrating and Shine Styling Mist, after blow drying it. I spray it in my hand and evenly distribute it throughout my hair. I’m hooked! I haven’t heard of any of those, thanks for the info. I see many can be purchased on Amazon, that is a good thing. Thanks for this list. I will have to look into them. I have not heard of most of these brands, but they look wonderful. It is terrific that they are vegan and of course American. Great list! I always worry about the chemicals I put on my skin and in my hair. We’re glad you enjoyed the list, Lisa! Now you don’t have to worry about toxic chemicals in your beauty products. We hope you’ll find a brand, or two, you love from this list. I would like to try some products from Chagrin Valley Soap and Salve Company. I think it is so important to purchase non-toxic hair care products. Thank you for sharing California Pure Naturals with us, Donna! We’ll have to check them out. I love that list–I’m really curious about the Acure Shampoo and Conditioner–that’s also a great price! 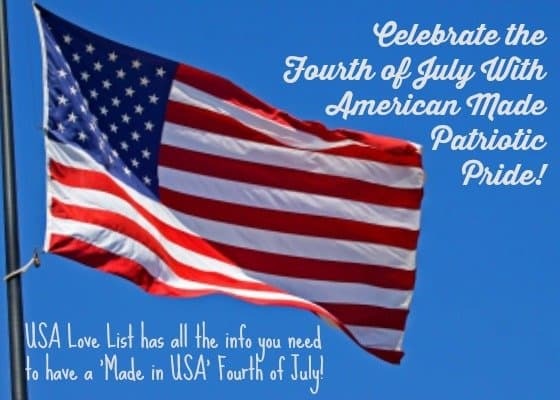 This looks like a great selection of american made products! Acure Moroccan Argan Stem Cell Shampoo and Repairing Argan Conditioner sounds like I product I would enjoy.My hair gets super dry and tangles easily. I have noticed the Moroccan products work very well. These all sound interesting, I’d like to try that Puracy Citrus & Mint shampoo! Thanks for the list. My daughter did an 8-week language program in Azerbaijan this summer and her hair started falling out! She doesn’t know if was the water or the Russian hair products, but she will have to try some of these!